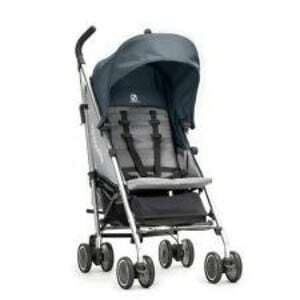 Strollers are some of the essentials most parents splurge in as they make moving around with children a lot easier. This is particularly true if you have to herd multiple kids on a day out. A stroller will make some of them more manageable, letting you ensure that the littlest ones are well within your reach and will be easily carted around without having to expend most of your energy carrying them. However, strollers aren’t necessarily the most fuss-free items there is. As they’re loaded with tons of great features, they’re hardly ever compact or lightweight. This can be a major hassle for some as lugging a 30-lb stroller can be a pain to get in the car or carry up to a third-floor apartment while managing little kids at the same time. This is why the best umbrella strollers are also popular options for a lot of parents nowadays. Their light weight and durability make them excellent options for parents of school-age kids and toddlers. If you’re interested in getting one to make your trips to the park and errand-running days simpler, check out our top picks for the choicest products that you can go for. Umbrella strollers are hardly ever the top choices of athletic parents who would love to run around with their babies, as they’re just not equipped with the right features for such a task. However, due to its light weight, Baby Jogger’s Vue Lite Stroller challenges this notion. It is designed to be a good option for a wide range of activities with your little one. Deemed the lighter version of the popular Vue stroller, the Vue Lite is just 14 pounds, making it lightweight enough for those who don’t want to lug around a particularly heavy piece of baby gear. It also has a wide range of features that can guarantee your child’s safety and comfort, as well as your convenience. These include a 5-point harness, an adjustable leg rest, easy compact fold, a UV50+ canopy, a storage basket under the seat, flip-flop-friendly brakes, and 5-inch EVA wheels, just to name a few. The Vue Lite is also compatible with the brand’s City Go travel system. Not a lot of umbrella strollers can actually work with car seats, or even be turned into a soft pram, but the Vue Lite ticks all the boxes, making it a solid option for practical parents who want to get the most out of their baby gear. What's Great About It: Versatility is definitely the strong suit of this product. There are actually a few ways to make use of it, and one of the most notable is its reversible seat facing. You can configure it to be front-facing like other umbrella strollers, but you can also easily switch it so that your baby is facing you. Both sides are equipped with harnesses so you won’t have to re-thread if you want to reverse your child’s seating position. Some kids don’t really need to use strollers anymore, especially if they’re quite independent and energetic. However, there might still be some off days when your little one will feel a bit too tired to be running around and an umbrella stroller will surely come in handy. In such cases, Cosco’s Character Umbrella Stroller can do the trick. 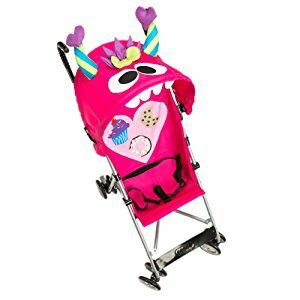 Available in a wide array of different designs (some are even Disney-themed), this stroller has a 3-point harness, a fun creature-themed canopy, an easy folding mechanism, a double-foot brake, and a foot rest for your little one. What's Great About It: With its very low price, it already has the basics you need to take your kid to places without tiring both of you out. It’s also affordable enough to just have in the car on the off chance that your independent child will want to be carted around while you’re running errands and such. UPPAbaby strollers have been making waves among parents who are willing to spend more for their baby gear, so it shouldn’t come as a surprise that the company's umbrella stroller option has also snagged itself a spot on this list. This product is particularly great because it’s specifically designed to ensure your child’s comfort without bogging down the unit with so many features. The first thing that you’ll notice about this product is its mesh backrest, promising breathability and your child’s utmost comfort. Other areas make use of lightweight, stain- and water-resistant, washable fabric, making it a breeze to maintain and keep in great shape. It also features lockable front wheels, a 5-point harness, an automatic lock, and a large storage space under the seat. What really takes the cake for this stroller, however, is its easy-fold mechanism. It’s equipped with hand-level triggers, so you won’t have to struggle folding the unit while carrying a bag or holding your child’s hand. It also self-stands and locks into its position with ease. What's Great About It: At just 11 pounds, this stroller is definitely one of the lightest, yet sturdiest, on the list. Its adjustable height and removable canopy are wonderful additions to its marvelous features. Its tall, ergonomic handles are also very noteworthy, and a deciding factor for many tall parents. 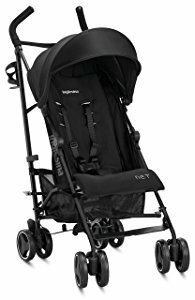 Another lightweight option is the Inglesina USA Net Stroller. Loved by lots of parents for the convenience it offers, this unit has definitely surprised many with its great design and functionality. It’s a good value and a solid option for parents who need a portable stroller for trips outside with their toddler. Its basic features include a two-position reclining seat, tall handle bars, 5.5-inch lockable wheels, an easy-fold mechanism, a storage basket, a removable cup holder, and a 5-point harness. The mesh base seating is also a great plus, offering breathability and extra support for your little one. Its self-stander comes in very handy as well, especially if you need to take public transportation with your little one. You won’t have to worry about where to rest it to make it easily accessible while carrying your child, as it can easily just stand next to you as you wait for the train or bus. Another convenient feature this product has is its carrying strap. This makes it possible for parents to sling the folded stroller on their shoulder for hands-free mobility. 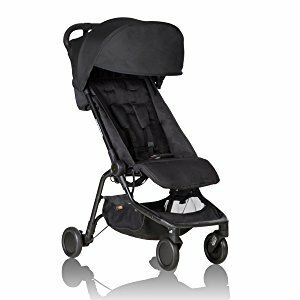 What's Great About It: There are tons of great features that the Net Stroller is known for, but its biggest draw has to be its padded seat. It offers great comfort for your child and, as the pad is removable and washable, it’s just very convenient to have around. The canopy works the same way, making this product very easy to keep in great condition. A lot of households opt to get an umbrella stroller as a backup unit for their travel systems when they need to travel by air. This is why a lot of shoppers look for units that won’t break the bank, but will still hold up really well, even with heavy use. The Summer Infant 3D Lite met all of these needs with a flair, compelling us to add it to our best-of list. Known for its multi-position recline, this product can guarantee your child’s comfort. The lowest setting reclines quite deeply, so kids can get cozy very easily. It also features a three-step folding mechanism, making it very easy to put away and allowing you to do so even while carrying your child on one arm. The carry strap is very convenient as well, so you don’t have to struggle with lugging your stroller around. Another reason why you should check this product out is its storage options. It has lots of places where you can stash your essentials, which is a pressing necessity when you have to go around with your child in tow. Umbrella strollers aren’t best known for their storage options. They’re lightweight and can easily tip over when unbalanced, so having pockets isn’t a common feature of these items. With the 3DLite Stroller, however, you have an extra back pocket for some basic items that you need to keep close at hand. It also has spacious underseat storage and a cup holder, making it a very convenient unit to have. What's Great About It: What made this product a good pick, first and foremost, is its fantastic price. It’s very affordable price is definitely hard to beat with all of the features it can offer. This alone makes it a great value option, and many experts and parents will agree. Dubbed by some owners as the best travel stroller ever, Mountain Buggy’s Nano stroller definitely deserves a spot on our list. It’s specially designed to make traveling with kids a great breeze — at least the part where you have to lug your child around. As the biggest challenge in carrying a stroller into a plane is the actual storage, this product managed to address this common woe, making it a solid option for those who regularly fly from one place to another with their little one. It’s also great for road trips, which is why some people call it the perfect travel stroller. It can be turned into a travel system with the help of select compatible car seats. All you need to do is strap the car seats into the special buckle found under the seat, and you’re pretty much set. You can also turn it into a pram with compatible soft bassinet cocoon units if you wish to carry younger kids in it. What's Great About It: What makes this unit extra-special is its compact design. It folds into an ultra-compact size of just 22 inches, making it a perfect fit in the overhead compartment in planes. It even comes with a carrying bag that will make it look like other carry-on bags, so you can conveniently roll out your little one as soon as you get off the plane. If you don’t think that the UPPAbaby G-Lite stroller will cut it for your little one, the G-Luxe variety is another option for you to consider from the brand. This model is deemed a deluxe version of the G-Lite, offering more features than its more affordable variant. This product offers a 5-point harness, adjustable recline, an easy folding mechanism that locks into place, a storage basket, a cup holder, and tall handlebars. It’s also self-standing and very easy to maneuver. A large canopy may not seem like an important feature for umbrella strollers, but if you actually run errands and go to the park during the daytime, you’ll know just how necessary these components are. G-Luxe’s canopy has a fold-out visor so your child is better protected from harmful UV rays and prying eyes. What's Great About It: The biggest selling point of the G-Luxe is its comfortable design, keeping it true to its name. It’s loaded with features that will keep your little one cozy, which is one of the most important things for a lot of parents. Its padded seat is the very first thing that makes the ride nice and snug. This removable, wipe-clean pad offers cushioning so your little one will be perched on something soft the whole time you’re out and about. An adjustable footrest is another feature that guarantees the G-Luxe’s comfort. Hailed by the Guinness Book of World Records as the World’s Smallest Folding Stroller, the gb Pockit Stroller is the perfect product for anyone who needs a compact stroller. This unit folds up to roughly 12 inches, so that the folded unit can actually fit inside a purse. It offers convenience like no other, making it a great choice for families who travel a lot. On top of that, you can also transform it into a travel system. You will need to purchase the adapters separately, but you can still easily pair it with a GB or Cybex infant car seat, should you ever want to do so. This makes this product even more convenient and a solid choice for practical parents. What's Great About It: Despite its tiny size, this product can still keep up with other top-rated umbrella strollers in terms of features. 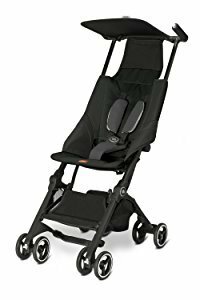 It’s very lightweight at just 10.8 pounds, and it still has a high weight limit, making it suitable for a lot of households. 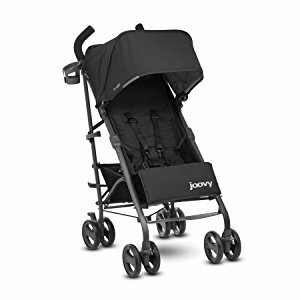 Another option for those who want the most comfortable umbrella stroller for their baby is the Joovy New Groove Ultralight. While it’s a bit heavier than the other items in the list, it’s not significantly heftier, which still makes it a great option for those who want a lightweight stroller. 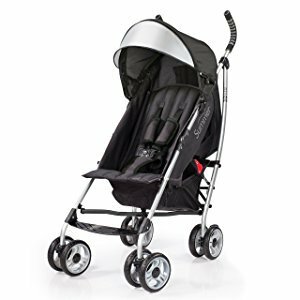 It offers everything you need in an umbrella stroller, including an easy-fold mechanism, a 5-point harness, a carry strap, a large canopy with a peek-a-boo window, lockable front wheels, and a bit more, as it is best known for its roominess. Storage is also plentiful in the New Groove Ultralight. It has a mesh pocket right inside the seat, making your baby’s drink very accessible to her, and two other cup holders by the handles. There’s also a zippered pocket right behind the seat and a large underseat basket. You can also count on this product for your little one's comfort. With an all-wheel suspension, you can count on the New Groove to be less bumpy than its competitors. What's Great About It: What makes this product stand out is its spacious seat. This makes it a great option for those who don’t want their kids to outgrow their portable stroller in just a year or two. As it reclines fully to a flat position and is equipped with foot enclosure, really young babies can enjoy this ride. With its adjustable leg rest and canopy, you can also easily tweak it to cozily accommodate growing kids — even tall ones! With more than a century of experience in manufacturing transport safety equipment, the Easylife Ultra-lightweight stroller is actually Recaro’s first attempt at crafting a stroller for young children. I believe that the risk paid off well, as their initial foray into the pushchair field has been well-received by the most discerning audience: young parents. The first thing most folks will love about this product is its attractive minimalist design. Available in a few different colors, the monochromatic design really makes it look good. Of course, its features are great, too. You can fold the whole unit with one hand, and the brakes are very easy to engage. There’s also plenty of storage space, and it’s easy to turn into a travel system. What's Great About It: What makes it really stand out, however, is its large all-terrain wheels. Umbrella strollers are not always meant for uneven surfaces, as they often forego suspension to make the unit lightweight. This isn’t the case for the Easylife, however, as it has all-wheel suspension and grippy, front-locking wheels to ensure your child’s safety and comfort, even as you take them on grassy and rocky paths. Choosing any product that your child will use should absolutely be done with great care and consideration. You wouldn’t want to put your precious one in any danger, so it’s important that you know as much as you can when it comes to the products you’re getting for them. This is particularly true for umbrella strollers, as your little one will actually get on it. So how do you choose the best umbrella stroller for your child? Here are a few of our pro-tips. A 5-point harness is considered by many experts to be a very safe option when it comes to restraining kids from flying out of their seats in case of a crash. A properly tightened harness will distribute the force of impact on the strongest bones of the body, minimizing the damage to your child’s body. This works for car seats, so why wouldn’t it be a good option for strollers? Energetic kids are always high-risk stroller riders, so you’ll want to look for units with secure buckles that won’t easily unsnap if your child fiddles with them. 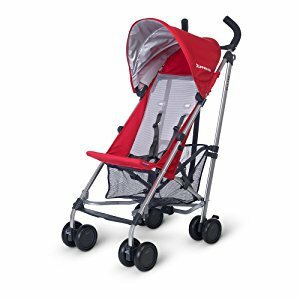 Because of their lighter design, some umbrella strollers may have stability issues, so be very discerning when it comes to this feature. They should have a good weight balance and shouldn’t tip over in any direction. Having a wide base is also a good guarantee that your stroller will stay upright no matter what position your child assumes inside the stroller. Make sure that the brakes are easy to engage. There are times when controlling a stroller can be quite difficult, and these instances can immediately be dangerous. This is why your unit’s brakes should be grippy and easy to activate so you can quickly prevent mishaps. If your little one likes to nap even while you’re out and about, a reclining seat is an absolute must. This will help them get more comfortable and get a more solid nap. Giving your child some shade and privacy can also help them rest more easily, even while you’re out and about. Different umbrella strollers have various canopy designs, so you should be particular about which one to get for your child. Go for something that gives them ample covering without completely blocking their ventilation and view. If you can fold the stroller with just a single hand, that is ideal. Umbrella strollers are actually designed to not be bulky so that you can use and maneuver them more easily. However, different designs may still cause them to be sized differently, so you might want to look for something compact. This will ensure that it will be easier to store and carry around. If your umbrella stroller is hard to move about, forget about it. The major difference between a full-sized stroller and this lighter variety is the fact that the latter should be a lot easier to maneuver. If it requires you to break a sweat to push your child around, look for something else. Don’t put newborns and infants in these strollers. They are not designed to provide ample support and cushioning for such young kids, so you absolutely should not use it for very young children. If you want a lightweight stroller for your tiny baby, you should still look into regular strollers, as those will better suit your baby’s needs. Watch out for weight limits. Since they are more lightweight, you can’t expect umbrella strollers to be as durable as the regular ones. They’re just not meant to carry too much weight all the time with their lighter materials. So make sure to note the weight limits the manufacturer specifies for its products so you won’t have to worry about the unit giving out under your growing child’s weight. If you can test the unit out before actually buying it, you’ll have a better chance of finding the best umbrella stroller for your child. I know that buying online can be more convenient and practical for a lot of parents, but that doesn’t mean that you can’t try out top-rated units in stores, especially if you live in a big city. The idea is to get a good feel for the item before you commit to it, as testing it out can be a lot easier than processing a return. Don't use the stroller handles to carry heavy bags. According to experts, four out of five cases of children’s injuries are related to falls, 17 percent of which actually took place in strollers. Aside from making sure to strap your child properly into his seats, you should also avoid slinging bags on your stroller’s handles, as it’s a common cause of tipping over, especially in lightweight umbrella strollers. 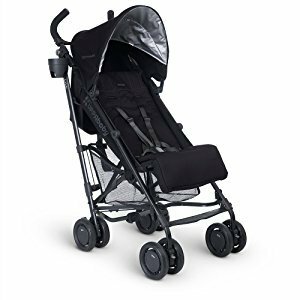 Now that you have a good idea which products are solid options for umbrella strollers, you might still be wondering why you should take my advice and give these items a shot. So are these items really worth investing in? Absolutely. How do you know if a product is good? Check out its reviews. Lots of parents are very vocal when it comes to baby gear, so there is tons of information that is easily available to buyers online. Since this feedback is from actual users, you can be sure about its accuracy and relevance, guaranteeing that my picks are definitely among the best options. Good baby gear requires a specific set of features, so I was also very particular about what each product offered. If it was missing something vital, it didn't make the cut. When it comes to most items, you get what you pay for. You should never subject your little one to a cheap product, as their safety can be easily compromised. Therefore, I looked for great products with equally good pricing, so you can be sure that you’re getting more than your money’s worth, even if you have to pay a premium. 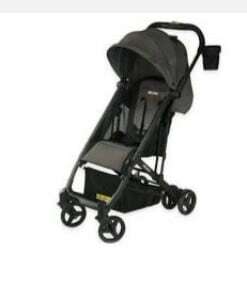 With so many great options for the best umbrella strollers, I hope I’ve given you a number of excellent choices that will make your search easier.